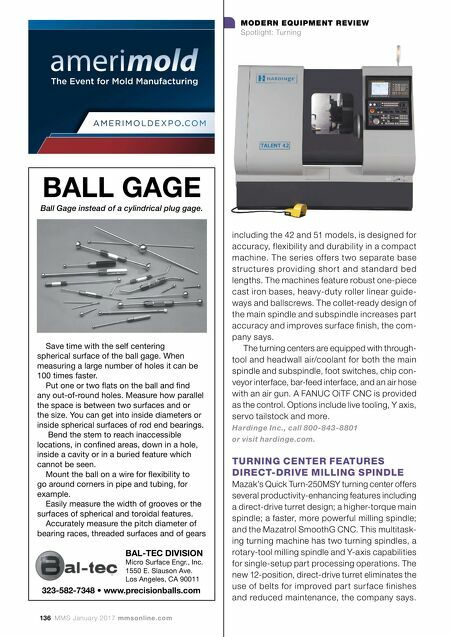 Optimize Your High-Volume mmsonline.com January 2017 MMS 137 Standard or custom, Michigan Deburring tools work better, last longer and lower your cost per hole. 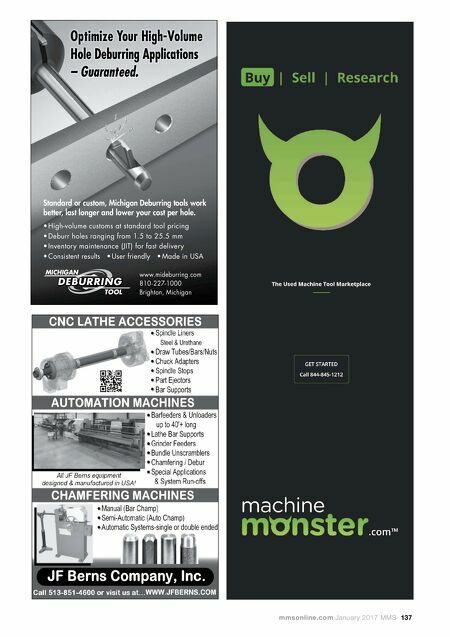 • High-volume customs at standard tool pricing • Deburr holes ranging from 1.5 to 25.5 mm • Inventory maintenance (JIT) for fast delivery • Consistent results • User friendly • Made in USA 1,, 1,, 1,, /"" www.mideburring.com 810 -227-1000 Brighton, Michigan – Guaranteed. Hole Deburring Applications Hole Deburring Applications Optimize Your High-Volume – Guaranteed.